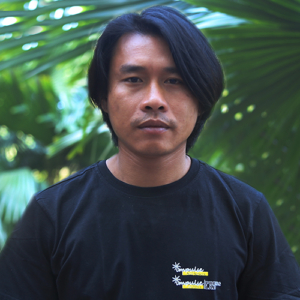 Min Het San is a journalist from Mohnyin, Kachin State Myanmar. Min studied at the University of Myitkyina, Myanmar, before beginning his first job as an OJT reporter at News Watch Journal in 2005. Min has worked as a news reporter at Myanmar Nation Journal, Trust Journal, The Action Time, and The Voice Media, and has extensive experience as a freelance journalist and reporter in Myanmar, Thailand and China. He has covered a range of issues relating to human rights, including military conflict in Kachin state. Min was an executive editor with Democracy Today, and has interviewed prominent figures such as interview to Aung San Su Kyi. He is currently working as a freelance senior journalist at The Voice Journal, reporting on human trafficking, cross-border issues, and environmental conservation.